Our ‘value’ range of cheap cleaning products supplied under the recognised ‘Samson’ brand for the wholesale and retail sectors. 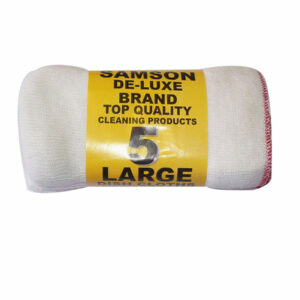 The heavy duty tubular single jersey stockinette fabric cloth is ideal for kitchen and domestic use. This cloth can be both bleached and machine washed to re-fresh. The tubular single jersey stockinette fabric is absorbent and durable, ideal for kitchen and domestic use. It can be machine washed and also boiled to refresh. Available in roll format for both the wholesale and retail sectors. 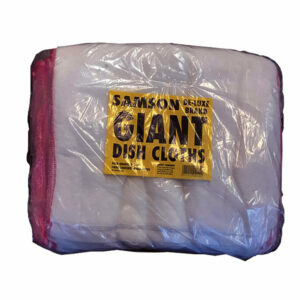 6 large Samson dusters supplied in an attractive roll pack. 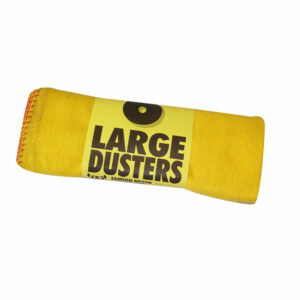 Ideal for polishing and dusting. Machine washable but to be washed separately. 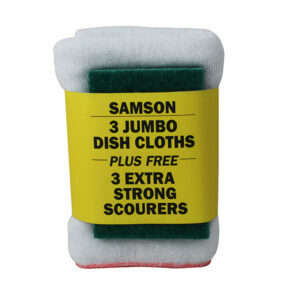 Supplied in an attractive pack are 3 durable and absorbent jumbo dishcloths along with 3 premium heavy duty scouring pads. This value pack provides good margins for the retailer.